People who experience Soulmate love in their lives have a common bond—they’ve discovered strategies to attract legendary love that actually work. Without recognizing which ones will work for you (and which don’t) it’s easy to give up. Don’t surrender! 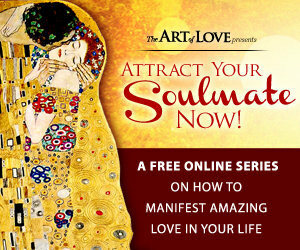 Attract Your Soulmate Now! NO COST Online Series! Rev. Laurie Sue Brockway joins Over 45 of the World’s Leading Love & Relationship Luminaries to Discover How to Attract Your Soulmate THIS SUMMER! Hosted by Soulmate Expert & best-selling author, Arielle Ford, it features over 45 relationship leaders including Harville Hendrix, John Gray, don Miguel Ruiz, Gay Hendricks, Alison Armstrong, Neale Donald Walsch, Debbie Ford, Bruce Lipton, Colette Baron Reid, Marci Shimoff, Cherie Carter Scott, Katherine Woodward Thomas, Nick Ortner, Evan Marc Katz, and more. Invite love into your life, and be a part of this groundbreaking series. Register now! 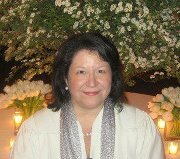 This entry was posted in Relationships and Spiritual Singles and tagged find soulmate, find your soulmate, finding my soul mate, how to find my soulmate, how to find true love, how to find your soulmate, laurie sue brockway, romantic resume, soulmate course, soulmate ebooks, spiritual soul mate by June Cook. Bookmark the permalink.